Update, January 16, 2015, 18:29 : Sony consumers who are also wearable enthusiasts has been waiting for the launch of their first Android Wear powered smartwatch in India. 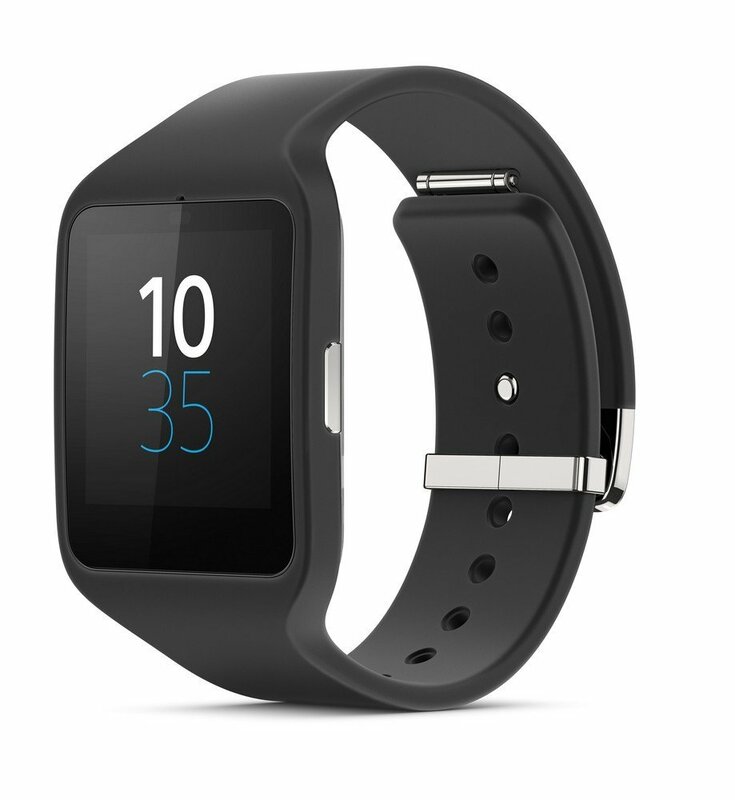 Now there wish has been fulfilled, the Smartwatch 3 is now popped up on company’s official Indian website. The device is priced at INR 19,990, which 2K more than the Moto 360 pricing in India. Even though, its not most powerful smartwatch out there in the market, the pricing of the device does holds, as the battery rating for the device is among the largest in Android Wear powered smartwatches. Earlier, January 6,2015, 6:32 AM : Just as the last minute leaks suggested, Sony has announced an upgrade to its still-new Smartwatch 3, which only trickled onto store shelves back in November. But the company decided that it wasn’t done with tweaking (just like Xperia Z3), and it looks like this time they have done it right. The new Sony Smartwatch 3 announced at CES comes with a stainless steel frame, and it is well exactly what is you expect it to be. While the Smartwatch 3 is company’s first Android Wear smartwatch, company seems like doing a great job when we talk about the specs, as the device features the largest battery on any Android Wear powered smartwatch, yet. Though, it has the same 1.6-inch 320 x 320 pixel display, same IP68 water resistance chassis, the Qualcomm chipset, same space of light and motion sensors that was available on the athletic version of Smartwatch 3. The built-in GPS tracking, SW3 will help track your running as well. The metal band is sturdier and heavier than its silicon counterpart. As with the original release, the watch itself can be popped out of the band and put in other Sony Smartwatch 3 holders. However, Sony has something in store for you in the coming months, if you want to use your own band, as company is planning to release a SW3 holder that lets you use whatever 24mm watch strap you’d like. The pricing of the device is unknown for now, but the device is expected to go on sale in February. Earlier, September 4, 2014: Sony has finally jumped on the Android Wear bandwagon with Smartwatch 3, like other big brands like LG, Samsung, Motorola and ASUS announced their respective smartwatches. Just like its name, Sony’s smartwatch 3 is not so great, even though, it is powered by Google’s Android Wear operating system. After, announcing an impressive SmartBand Talk, Company’s new smartwatch isn’t much impressive Android Wear tech, as there is not much on the design front that distinguishes the uniqueness with other Android wear smartwatches currently available in the market. 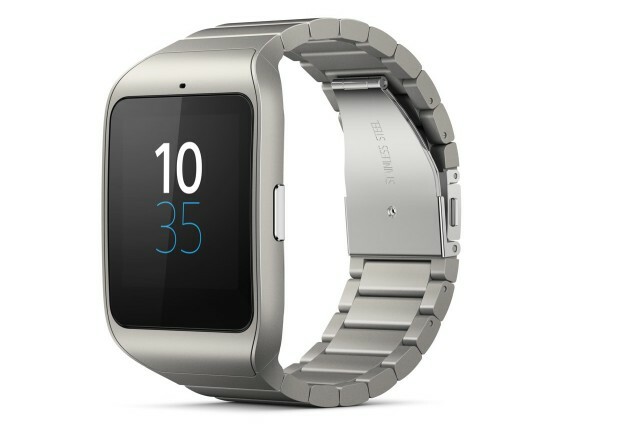 The Smartwatch 3 comes with a 1.6-inch 320 x 320 pixels resolution and is powered by a Quad-core processor. The device packs a 4GB of internal storage and a 420 mAh battery, which might give you a decent two days standby time. It is IP68 rated wearable as you can wear this smartwatch underwater up to 2 m (6 ft 7 in) for 30 minutes. Coming to the design, the device tends to lean forward towards a sporty and rugged look with a steel back case. Sony touts it display that it is easily viewable in outdoor conditions like heavy bright light. But if it was compared to the newly announced LG G Watch R display, it is not as impressive, as LG emphasized on the classic watch style and looked. On the software front, Sony bundles it Lifelog app and has plans to include its Walkman app as well in the newly announced Smartwatch 3. The Lifelog app lets you track your daily activities like, social apps, movies/TV Shows watched, and as well as the health activities like steps taken in a day are few dedicated services that Sony’s new smartwatch provides. One another advantage is that you can keep a lot of music on the Smartwatch 3 and listen to it via Bluetooth devices like headphones or speakers as you will not necessarily need your smartphone around. If you look at the competition for Sony’s new wearable in the market, you will find plenty competitors ahead in designs as there is not much interesting about Smartwatch 3 while the latest offering like Asus Zenwatch, Moto 360 and LG G Watch R have a unique perspective towards their smartwatches. It is not even in par with the newly showcased Samsung Gear S powered by Tizen OS. 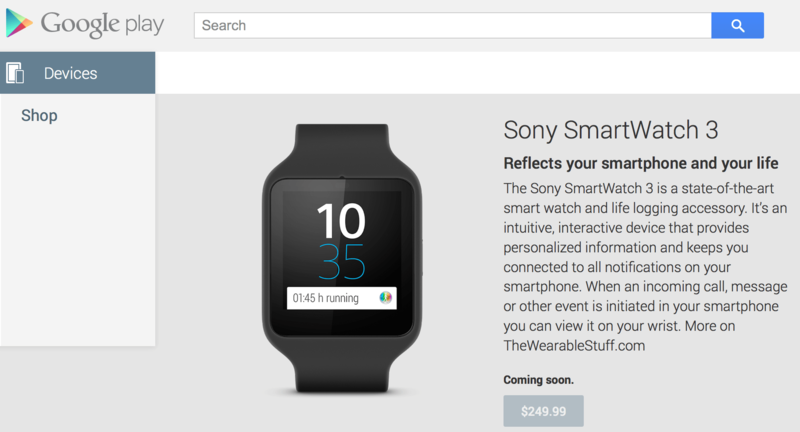 The Sony Smarwatch will be available later this fall as the exact release date is still unknown. The Watch will come in various set of colors like, Classic Black and Sports Lime editions, with extra colour straps available in pink and white, as it will retail for €229, which roughly translates to $300. Earlier, September 16, 2014 11:10: Sony announced its first Android Wear smartwatch during the IFA week in Berlin, but the availability of this device was unknown. Rather than officially announcing release date, the Japanese electronics giant decided to put up its latest smartwatch (SWR50) for pre-order on Amazon’s UK website. The Sony Smartwatch 3 is available for pre-order in UK at an exact price of £214.56, which will start shipping from October 3. The wait for this new Android Wear smartwatch will be over soon as the wearable tech will go on sale in just three weeks. Update, October 18, 2014 13:10: After announcing the unexpected Android Wear smartwatch during the IFA Expo week this year in September. Now the wearable device from the Japanese manufacturer has popped up on the Google Play Store in the United States. It is after that the device started its sale in UK via Amazon’s website. According to the Google Play Store, the device is priced at $249 which places the premiuim Sony Smartwatch 3 to a direct competition with the Moto 360. Though, the exact launch date of the device is yet to be revealed.